Sports TV Channel / KTV Sport began broadcasting in November 1, 1993. 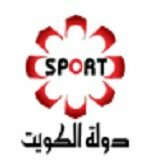 Initially chaired by Mohammed Al Zamel, this channel was considered at the time to be the leading sports channel in the Persian Gulf region. It was originally a local sports channel, but in 2002 KTV Sport replaced their ground transmission with satellite transmission, enabling them to broadcast international sporting events as well.